If you have had children and you are struggling with changes in your breasts and body, you need to learn about the “mommy makeover”. Indianapolis Board certified plastic surgeon Dr. Joseph Fata will explain how the “mommy makeover”, a popular term used to describe plastic surgery that focuses on restoring your pre-pregnancy shape, can work for you. Find out more about the mommy makeover during a consultation with Dr. Joseph Fata in Indianapolis today: Call 317-575-9152 to make an appointment. Women of today are more empowered than ever before, and they have embraced motherhood with the same enthusiasm and determination they have shown in every other aspect of life. That is, except for the changes in their body that came with it. This is a generation of mothers who overall are more physically fit and in better shape than their mothers or grandmothers. They are ready and willing to work hard through diet and exercise to regain the waistline they had before pregnancy. Unfortunately, it isn’t always that easy. There comes a point when hard work and good intentions are not enough to overcome the changes in your breast and body shape brought on by pregnancy and childbirth. Fortunately, the mommy makeover is more than a catchy phrase; it is a group of plastic surgery procedures that can help you get your old shape back. The abdominal skin and muscles have a remarkable ability to stretch during pregnancy, but then what happens? Unfortunately, the abdominal skin usually does not return to its previous tone and tightness. Visible stretch marks are often seen as well. Some women also have persistent fat deposits on their tummy and hips that will not go away. Beneath the skin and fat, there is a loss of muscle tone because the original muscle attachments have stretched and separated, causing a bulge or “pooch”, even if you are thin. Changes are also seen in your breasts. During pregnancy, your breasts enlarge and fill with milk. This breast enlargement will persist until childbirth and even longer if you choose to breastfeed. The most common pattern is for women to end up with smaller breasts than they had before they were pregnant. This loss in breast volume occurs in the upper part of the breasts, and usually results in sagging of the breasts as well. These facts are all too familiar to all mothers, and some of these changes will not respond to diet or exercise. At some point, you have to make an individual, personal decision: to accept your new shape or to look for help. Fortunately, there is a group of very safe and effective plastic surgery procedures to help mothers regain their former shape, and these procedures together have been popularized as the "mommy makeover". The combination of mommy makeover procedures that would work best for you can only be determined after a consultation with Dr. Fata at his Indianapolis, Indiana office. Your consultation will begin with a full breast evaluation. Based on your personal goals and your exam, Dr. Fata will recommend a breast augmentation, breast lift, or a combined breast lift with augmentation. Dr. Fata will also perform a complete evaluation of your abdomen, hips and thighs. If you have loose, excess skin and weak muscle tone, then you will need a tummy tuck. The type of tummy tuck (Mini, Full or Extended) will depend on the extent of excess skin and fat. 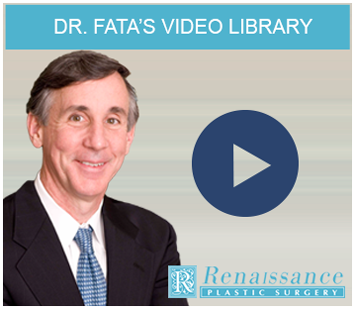 Dr. Fata will help you decide which type of tummy tuck will work the best for you. For patients who have excess fat deposits on their back, hips, or thighs, a combination of a tummy tuck and liposuction may be the best solution. Dr. Joseph Fata performs all breast surgery and body contouring surgery procedures including the mommy makoever on his patients in Indianapolis and Carmel, Indiana, as well as the entire state of Indiana and the Midwest. 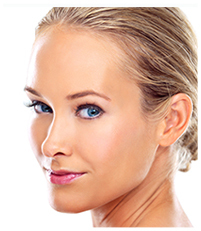 Schedule a consultation at Renaissance Plastic Surgery online or call 317-575-9152 today.